Justice™ Magazine is now seeking major funding to launch its print version and develop this site as a fully-interactive resource to help people understand and get Justice for their lives. Fund finders will receive substantial fees to bring investors ready to close a deal. 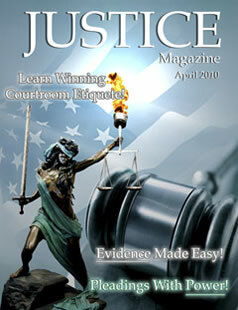 The print version of Justice™ will compete favorably with other print magazines but have the advantage of this website providing active multimedia experiences, video tutorials, testing, certification, games, and much more. Justice™ is dedicated to providing you and your family an entertaining and informative source of practical knowledge about our legal system, how it works, and how it can work for you - lawfully, honestly, and justly. Too much false information is offered by enemies of our American Justice system (many of whom posture themselves as "patriots"), angry protesters who haven't the slightest idea how our legal system works. They don't know and refuse to learn what's "good" about our American Justice system, so they condemn everything as corrupt. Our American Justice system works for those who know how to use it lawfully, honestly, and justly ... according to the rules of justice that are fair and easy-to-learn! We work to inform and encourage confidence in our system of justice by explaining it in a way that entertains while providing you and your family with knowledge that dispels the lies published on the internet by the angry enemies of good government. 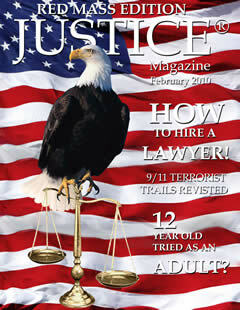 We are seeking qualified investors desiring opportunities to promote public legal education for profit, putting Justice™ Magazine in every home and on every newstand - so the American People can know how our justice system works and why we must work together to protect it from our angry enemies. "Justicia Omnibus" is our motto: Justice for All!